Is married...wife's name is Erika...the couple has two daughters, Veronica and Danna... Became the first player acquired under Brewers GM David Stearns when he was claimed off waivers by Milwaukee from Chicago-AL on 10/7/15. Began the season at Triple-A Colorado Springs, where he made 1 start (4/5 at Omaha) before he was recalled on 4/11... Went 6-9 with a 4.09 ERA in 31 games (26 starts) with Milwaukee... Made his first 26 appearances as a starter, going 6-9 with a 4.27 ERA (135ip, 64er)... The Brewers went 13-13 in his starts... Produced 10 quality starts, going 2-2 with a 2.32 ERA in those starts (62ip, 16er)... Made 5 scoreless appearances as a reliever (6ip)... Was on the 10-day disabled list from 7/14-7/23 with right forearm tightness... Appeared in 2 postseason games... Pitched in Game 2 of the NLCS vs. Los Angeles (1ip, 1k).....stranded an inherited runner... Took the loss in Game 4 of the NLCS at Los Angeles, allowing an RBI-single in the 13th inning to Cody Bellinger (3.2ip, 2h, 1r, 1er, 0bb, 4k, 1wp)... Pitched in the Japan All-Star Series against Nippon Professional Baseball following the season... Pitched for La Guaira in the Venezuelan Winter League... Signed a 1-year contract on 1/11/19, avoiding arbitration. Named Brewers Most Valuable Pitcher as voted on by members of the Milwaukee Chapter of the Baseball Writers Association of America...Began the season at Triple-A Colorado Springs, where he went 0-2 with a 4.63 ERA in 4 starts...Was recalled by Milwaukee on 5/3...Went 9-3 with a 2.81 ERA in 20 starts during his first full Major League season...The Brewers went 14-6 in his starts...Produced 12 quality starts, going 7-1 with a 1.66 ERA in those starts (81.1ip, 15er)...Was named Brewers Pitcher of the Month for July (5gs, 2-1, 1.59era, 34ip, 25k)...Was on the 15-day disabled list from 8/8-9/1, retroactive to 8/4, with right elbow inflammation...Went 7-3 with a 2.93 ERA in 17 starts prior to his disabled list stint (107.1ip, 35er) and 2-0 with a 1.88 ERA after being reinstated (14.1ip, 3er). Began the season at Double-A Birmingham, where he went 2-3 with a 2.29 ERA in 5 games (3 starts).....held Southern League opponents to a .221 batting average with 26 strikeouts in just 19.2 innings…Was promoted to Triple-A Charlotte on 5/5 and went 2-4 with a 3.39 ERA in 26 games (8 starts).....held International League opponents to a .193 batting average with 79 strikeouts in just 63.2 innings…Contract was selected by Chicago-AL on 6/7.....was optioned back to Charlotte on 6/30…Made 3 relief appearances for the White Sox, posting a 6.75 ERA (4ip, 7h, 3r, 3er, 1bb, 3k, 1hr)…His Major League debut came on 6/12 at Tampa Bay (2ip, 4h, 1r, 1er, 1ibb, 2k, 1wp).....his first career strikeout was Rene Rivera…Was claimed off waivers by Milwaukee on 10/7…Following the season pitched for La Guaira in the Venezuelan Winter League for the eighth consecutive year (2008-15). December 18, 2018 Tiburones de La Guaira signed free agent RHP Junior Guerra. July 24, 2018 Milwaukee Brewers activated RHP Junior Guerra from the 10-day injured list. April 11, 2018 Milwaukee Brewers recalled RHP Junior Guerra from Colorado Springs Sky Sox. March 24, 2018 Milwaukee Brewers optioned RHP Junior Guerra to Colorado Springs Sky Sox. 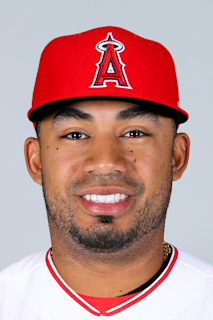 December 30, 2017 RHP Junior Guerra transferred to Cardenales de Lara from Tiburones de La Guaira. September 1, 2017 Milwaukee Brewers recalled Junior Guerra from Colorado Springs Sky Sox. August 30, 2017 Colorado Springs Sky Sox activated RHP Junior Guerra from the temporarily inactive list. August 24, 2017 Colorado Springs Sky Sox placed RHP Junior Guerra on the temporarily inactive list. July 30, 2017 Milwaukee Brewers optioned RHP Junior Guerra to Colorado Springs Sky Sox. July 18, 2017 Junior Guerra roster status changed by Milwaukee Brewers. July 9, 2017 Milwaukee Brewers placed RHP Junior Guerra on the 10-day disabled list retroactive to July 8, 2017. Right shin contusion. May 26, 2017 Milwaukee Brewers activated RHP Junior Guerra from the 10-day disabled list. May 20, 2017 Milwaukee Brewers sent RHP Junior Guerra on a rehab assignment to Colorado Springs Sky Sox. May 15, 2017 Milwaukee Brewers sent RHP Junior Guerra on a rehab assignment to Biloxi Shuckers. April 4, 2017 Milwaukee Brewers placed RHP Junior Guerra on the 10-day disabled list. Strained right calf. September 2, 2016 Milwaukee Brewers activated RHP Junior Guerra from the 15-day disabled list. August 27, 2016 Milwaukee Brewers sent RHP Junior Guerra on a rehab assignment to Colorado Springs Sky Sox. August 8, 2016 Milwaukee Brewers placed RHP Junior Guerra on the 15-day disabled list retroactive to August 4, 2016. Right elbow inflammation. May 3, 2016 Milwaukee Brewers recalled RHP Junior Guerra from Colorado Springs Sky Sox. March 19, 2016 Milwaukee Brewers optioned RHP Junior Guerra to Colorado Springs Sky Sox. October 7, 2015 Milwaukee Brewers claimed Junior Guerra off waivers from Chicago White Sox. October 5, 2015 Chicago White Sox recalled RHP Junior Guerra from Charlotte Knights. September 20, 2015 RHP Junior Guerra assigned to Tiburones de La Guaira. July 1, 2015 Chicago White Sox optioned RHP Junior Guerra to Charlotte Knights. June 7, 2015 Chicago White Sox selected the contract of Junior Guerra from Charlotte Knights. May 5, 2015 RHP Junior Guerra assigned to Charlotte Knights from Birmingham Barons. April 9, 2015 RHP Junior Guerra assigned to Birmingham Barons from Charlotte Knights. April 3, 2015 RHP Junior Guerra assigned to Charlotte Knights from Birmingham Barons. March 25, 2015 RHP Junior Guerra assigned to Chicago White Sox. January 30, 2015 RHP Junior Guerra assigned to Venezuela. January 24, 2015 RHP Junior Guerra assigned to Caribes de Anzoategui from Tiburones de La Guaira. November 12, 2014 RHP Junior Guerra assigned to Birmingham Barons. October 28, 2014 Chicago White Sox signed free agent RHP Junior Guerra to a minor league contract. October 10, 2013 RHP Junior Guerra assigned to Tiburones de La Guaira. July 20, 2012 Leones de Yucatan placed RHP Junior Guerra on the reserve list. June 23, 2012 Leones de Yucatan signed free agent RHP Junior Guerra. June 19, 2009 Buffalo Bisons released RHP Junior Guerra.